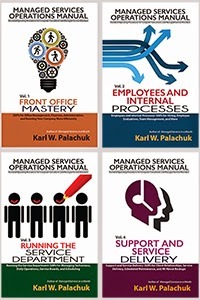 Small Biz Thoughts by Karl W. Palachuk: SOP Friday: Should You Do Billable Work First? This week's SOP Friday topic is a little different. It's not a "policy" as such, but a discussion of a proposed policy. Every Managed Service Provider has three big categories of work that need to be performed: Billable, Covered by MSA, and Internal. So the question before us today is: In what order should you do this work? And, more specifically, should you schedule truly billable work first? Let's assume for now that you will make internal work a low priority unless there's an important task or project that just needs to get done. 1) MSA Work: Work that is "prepaid" or covered by a managed service agreement. Your company has already received the payment for this. Now you just need to provide the work. 2) Billable Work: Work for which the client will receive an additional invoice. This is work not covered by a managed service agreement. If you've been following this series, then you know that you should always be working in Real Time. Basically, real time means that you enter notes and close the ticket immediately when you finish the work, not save it up for the end of the day or forget to do it altogether. It also means that you keep track of all time from beginning of day to end of day, even 15 minute breaks. There can be no gaps and no overlaps. We also assume that you have established a set of priorities for Service Requests and priorities for internal tasks. This sets up the framework that allows your company to always have everyone working on the most important service request or task they can. Remember the mantra: All work is done from highest priority to lowest, and from oldest to newest. All work is done in a Service Request. But sometimes you just need to schedule work. We try not to schedule very much because it ties up our day and we have to work around it. But sometimes you need to schedule a specific job at a specific time. This might be because of coordinating with a vendor, by client request, or because it helps you keep things organized internally. In a couple of weeks we'll talk about how the technician works through the day. One key piece of that will be: If there is scheduled work to do, you need to do that work now and then work through the priority list. Okay. Got all that? There's scheduled work. There's priority-based service requests. There's priority-based tasks. There's work covered by MSA, and there's billable work. Should You Do Billable Work First? Why bring this up? 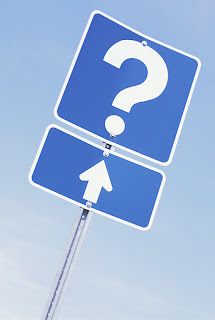 It is both a service question and a money question. The primary reason you would schedule billable labor first is money. Let's say your technician is earning $20/hr, which costs you more like $25/hr with taxes. In a 40 hour week, that's $1,000. To make the math easy, let's say you charge $100/hr. You could make the argument that this technician needs to bill ten hours per week to pay for himself. So the proposal is, can you assign him to truly billable (non-MSA) tickets for the first ten hours of the work week? Alternatively, can you assign him to two hours of billable labor at the beginning of every day? If you do this, then there's no question that this technician is generating enough additional income to cover his costs. This sounds like a good idea. It requires that your service board is busy enough to actually schedule this. And there's a lot to be said for knowing that a technician's salary is paid for each week! The arguments against this practice get to the heart of the "Managed Services Mindset." First, you can't think about managed service revenue as unimportant or just something that keeps the lights on. When a technician is working on a ticket covered by a managed service agreement, she is simply producing the work required to EARN that monthly recurring revenue. Never treat managed service clients as cogs in the wheel. They are the core of you annuity income and your most important clients. Second, if you do truly billable work first, it means that you schedule this work, and therefore place it above higher-priority work. And, to be very clear about this, you place it above higher priority work for clients who have signed a managed service agreement. Those are the clients who have agreed to give you money every month and invest in your business as a means of investing in their own business. When you sign an MSA, you agree to take money from the client every month in exchange for specific services. Some of these services are very automated (RMM, patch management, alerts, etc.). Some services require people to perform (troubleshooting errors on covered machines). It's a bit like an HMO in the medical field. You are prepaid for your services and it costs you money every time you have to actually supply the service. But do not short-change your managed service clients! Monitor clients who take a lot of hours, but don't make your managed service clients wait while you serve people who have NOT signed a contract and made a commitment to you for automated payments every month! 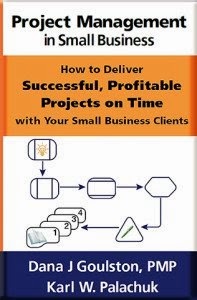 Now, if all of your clients have managed service contracts (as they should), then the truly billable work will be for someone who has signed a contract. Now do you schedule that work first? I still don't think so. The job of the service manager is to orchestrate all the labor in your company so that you have the optimal mix of providing excellent service, making sure that even the low-priority jobs get done, and handling project labor over and above managed services. That's why we use the term "massaging the service board." It takes experience and skill to provide good service management. Overall, I think the proposal to perform billable work first is acceptable if 100% of your clients are on managed service contracts. But most of the time, this kind of thinking keeps you focused on the old break/fix model of service delivery - where you chase every dollar. It is a better investment of your time and labor to provide spectacular service to your managed service clients so that you keep receiving that guaranteed income every month. That's long-term thinking, and the way business needs to be done.